It was hard to pick from all the swan photos, but I landed on this one (haha like the pun?) 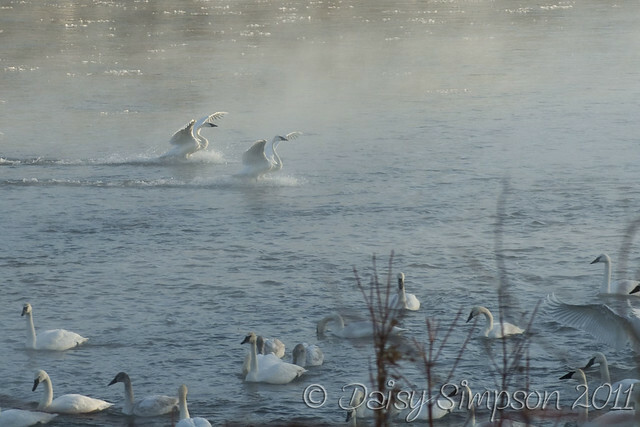 because of the steam, the swan's wings, and that you can see that there are other swans in the picture. Although the photos with just one or two swans is more "photographic" I can't ignore the fact of HOW many swans were there that day. Daisy - This is Beautiful !